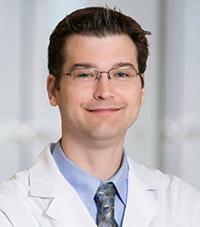 Primary care physician, Dr. Eric Mueller enjoys forming close relationships with patients and caring for their health. He believes in listening carefully to his patients to gain a deep understanding of their issues so together they can develop a personalized health plan. His areas of clinical expertise include prevention and wellness, health screenings and diagnosis and management of acute and chronic illnesses. Dr. Mueller is board-certified as an internist by the American Board of Internal Medicine.